Not much to show unfortunately but I have made a start to the Lady Grey finally – (about four months after everyone else!) So I have hand basted the hair canvas, marked the roll line and started the pad stitching…. Oh yes, and this all has to be done by hand… So very slow progress and not much to show for it!! But i’ve promised to take this project slowly, not rushing and making mistakes and enjoying the process. 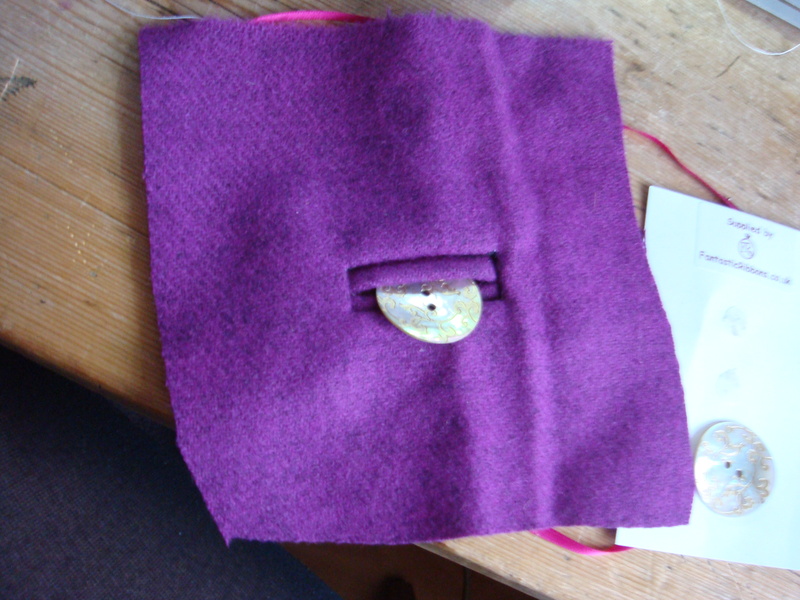 I am particularly pleased with my bound buttonholes though and wanted to show them off! (These obviously are only the practice ones but the ones on the coat look just as fab!) For how to do one yourself – Gertie has a wonderful tutorial here and they really are ever so easy!